23andMe’s Customer Care Team is here to help you. We strive to respond to all inquiries within two business days. In addition to our dedicated team, we have created a comprehensive Help Center to help you immediately find answers to your questions. 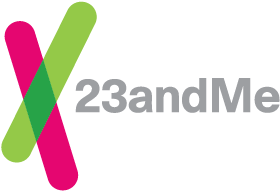 Below you can find a list of the popular topics covered in each section of our Help Center and ways to contact the 23andMe Customer Care Team. Online: Contact us online. Our Customer Care Team typically respond within two business days. Social Media: For general questions, try contacting us on Facebook or Twitter. Our social staff typically respond within a few hours. Phone: We are available Monday - Friday from 6am - 5pm and Saturday - Sunday from 8am - 4pm PST/PDT. If your question is not time-sensitive, we encourage you to contact us via Facebook, Twitter, or directly through our online form. See phone number.